Oh my goodness guys, if you had told me two weeks ago that I would be so tired at the end of every day of this trip that I couldn't even make a simple blog post I would have laughed. It turns out many hours of driving followed by very few hours of sleeping the day before, and fun times with friends makes this kid super sleepy, haha! But I am seem to have a couple of moments before I keel over tonight so I wanted to make a little update (especially because starting tomorrow evening I will be without internet and cell reception for a couple of days). So just a couple highlight photos. Anytime we ever go between Phoenix and LA we always make a point to stop and get gas here to visit the giant dinosaurs! The Griffith Observatory, one of my favorite places in LA. CONAN!!! You guys have no idea how excited I was by this (well maybe you can by my ridiculous face in the above photo haha!) Our friend recently started working for Conan so he got us tickets and then gave us a little tour after the show! Eeee! We had such a great time, and got some great stuff for the documentary so it was a win win for sure! I have a feeling this post is going to start making less and less sense if I try to go any farther so I think I will stop here. PS Don't forget to enter the $50 Shabby Apple Giveaway, you have until the 18th! How cool! That is SO exciting!! Also, are those the same large dinosaurs that were in the Pee Wee Herman movie? Ah! Looks like so much fun. Such fun photos. Oh, man. I'm so jealous right now! Wow! That is so great that you got to see Conan and get a tour. Lucky ducks! SO cool about the Conan tour! Awesome awesome. Did you get to meet him? CONAN and GIANT DINOSAURS. Your life is awesome. I hope you get some rest and enjoy your adventures. Ahhhh So jealous of your LA trip! But it is true, traveling can be so exhausting, especially in a fun city like LA where there is so much to do and explore! wow, where are those giant dinosaurs? :-) and i am suuuper jealous about conan! i LOVE him!!! I've ALways wanted to go to the Griffith Observatory. Haven't been though yet!! i love everything about this. 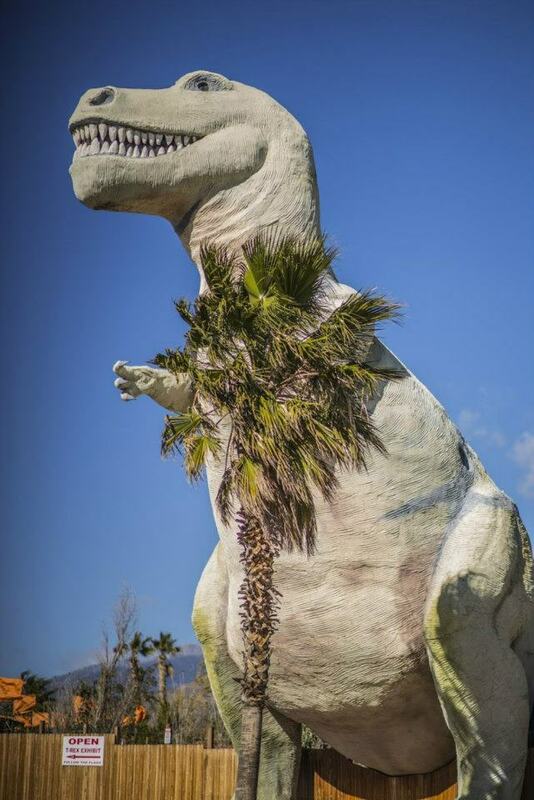 mostly because i adore the dinosaurs in cabazon. 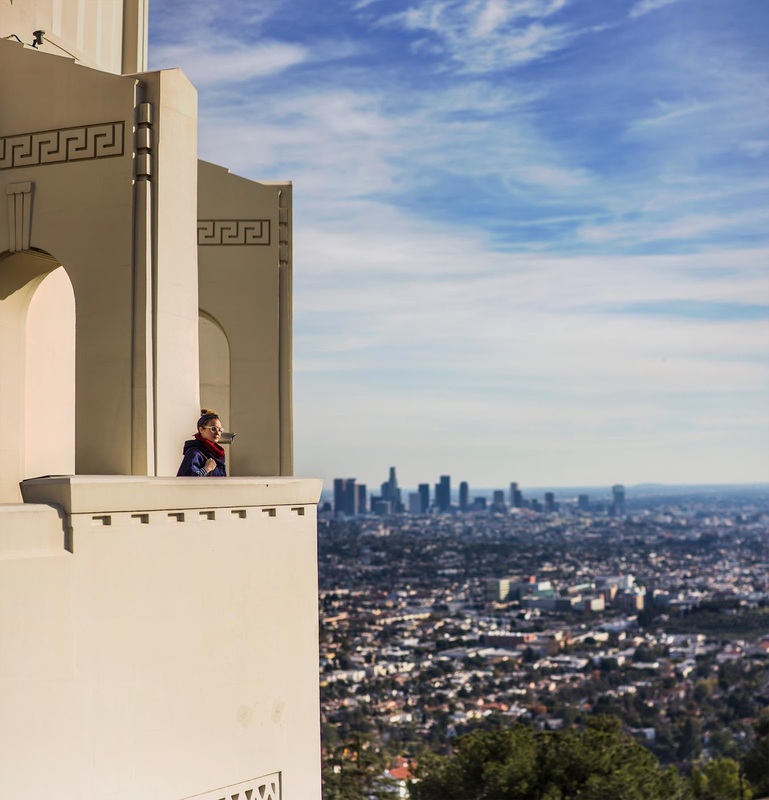 and the griffith observatory is fascinating, of course! Aww, so fun! I love that dinosaur! There is a place a few hours away from where I live called Dinosaur World and, as you can imagine, it's full of giant fiberglass dinosaurs. It's on of my favorite places to drive past! How fun!! Griffith Observatory looks like such an amazing place. And Conan?!! SO COOL!